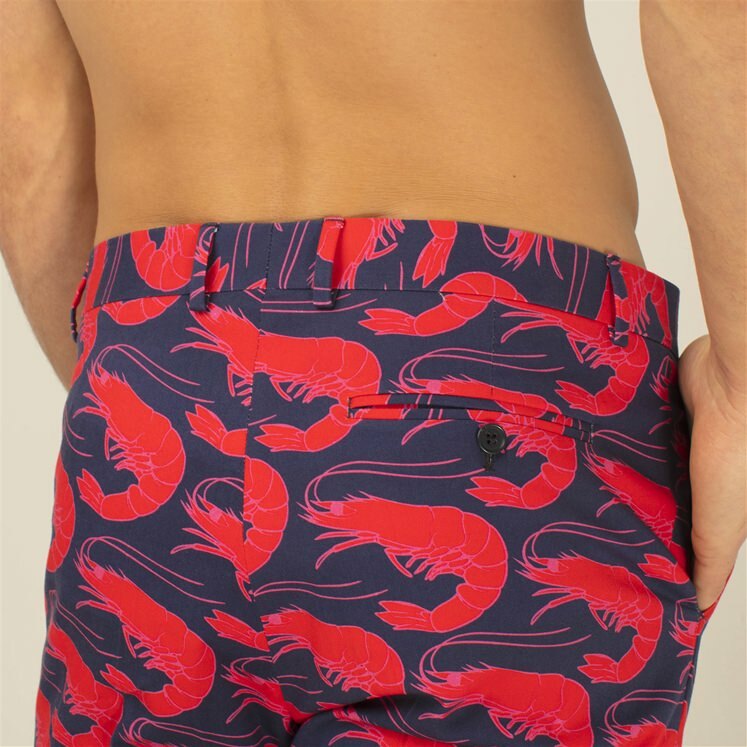 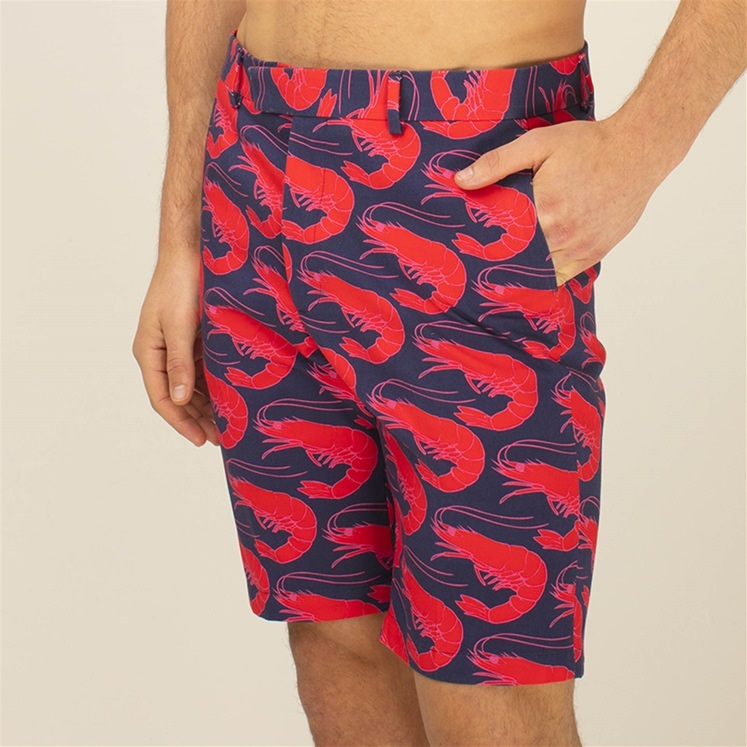 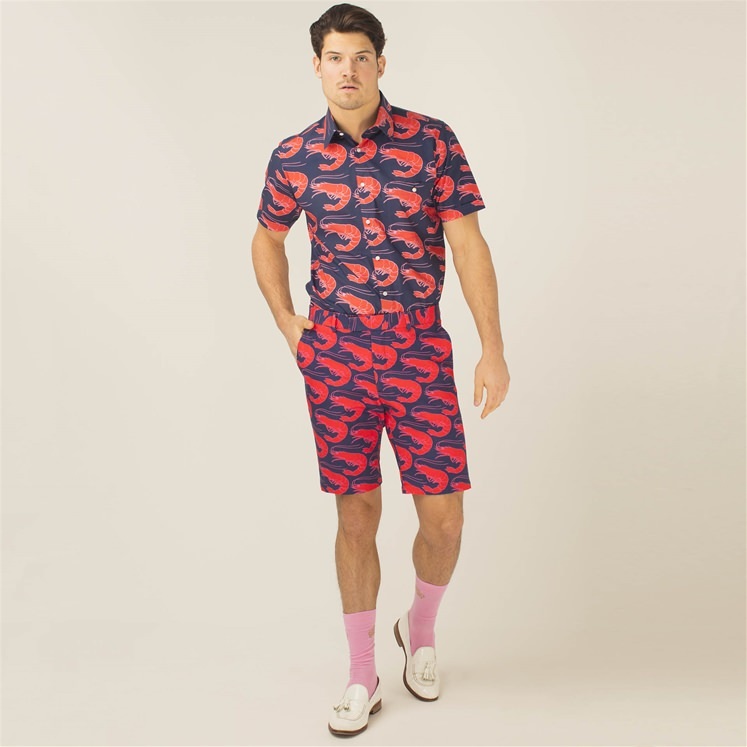 Hit the surf n turf with these limited edition Gresham Blake Shrimp shorts. 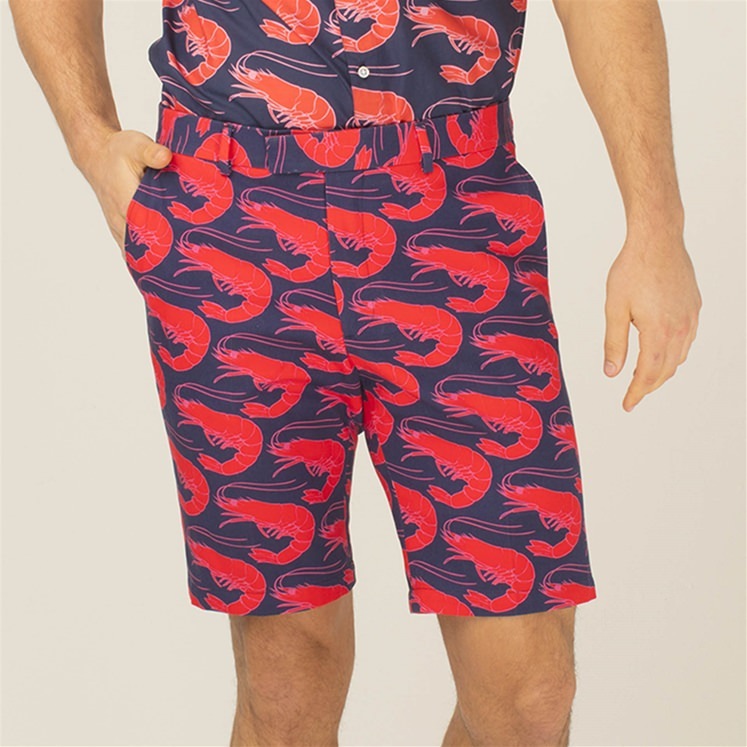 Part of our celebratory 20 year collections. 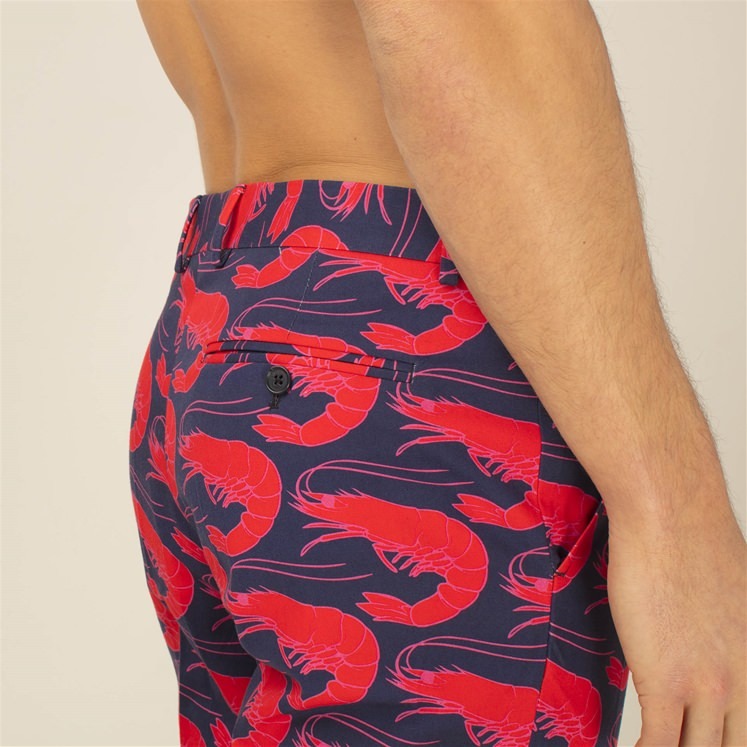 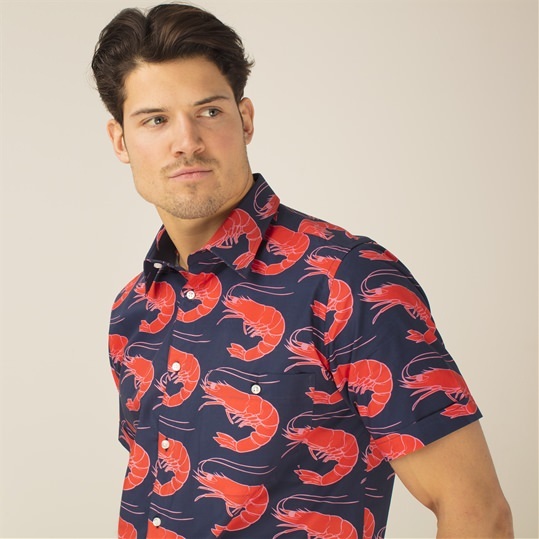 Navy blue with a bold shrimp design in tonal pinks.